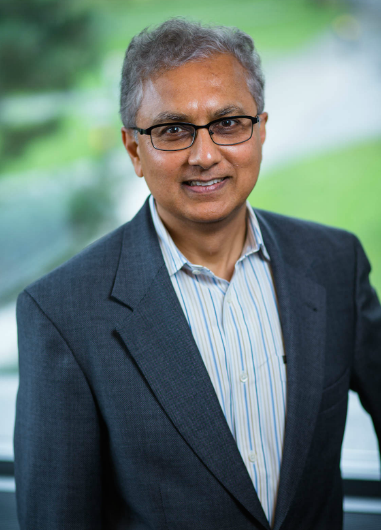 Suresh is a professor of strategy and entrepreneurship at the Foster School of Business, University of Washington where he holds the Olesen/Battelle Endowed Excellence Chair in Entrepreneurship. He joined the Foster Business School in 1996 and teaches courses in competitive strategy and entrepreneurship in the school’s Executive MBA and TMMBA programs. He also participates in many of the executive programs that are focused on domestic and international companies offered by the Foster. He currently serves as the Research Director of the Center of Innovation and Entrepreneurship at the University of Washington. His teaching and research interests are in the areas of competitive strategy, corporate entrepreneurship, and technology entrepreneurship. He serves as a Field Editor for the Journal of Business Venturing, and editorial board member of theStrategic Entrepreneurship Journal. He is a past Associate Editor of the Journal of Operations Management. He has also served on the editorial boards of theAcademy of Management Journal and the Strategic Management Journal. Suresh has been quoted in the Wall Street Journal, the Economist, The Seattle Times, NPR and numerous other publications. In his leisure time, Suresh loves to read, play tennis, and play the piano. His hobbies include photography and travel. Suresh has served as consultant or taught executives in numerous organizations including: The Rensselaer Sheriff Department, the Boeing Corporation, RealNetworks, Freshnetventures.com, Wonderhorse.com, Boeing Employees Credit Union, F5 Networks, and Saltchuck’s Marine Resources Group. He has authored in-depth business-school cases on many world class companies including: Amazon.com, Realnetworks, Starbucks Company, Boeing Corporation’s 787 project, Steinway & Sons, Harley-Davidson, and some less known, but equally interesting, companies including Homegrocer.com, Wizard’s of the coast, vCustomer, Bookshare.org, and Tenfold Organics. Suresh received his B. Arch (1980) from the University of Madras, his M. B. A. (1983), M. Arch (1985), M.S. (Industrial Engineering) (1986), and Ph. D. (1988) from Rensselaer. Prior to joining Foster, Suresh served on the faculty of the Stern School of Business, NYU (1988-1996) and the School of Management at Rensselaer (1986-1988). Suresh has served as a visiting professor at the International University of Japan, Niigata (1993), the Gordon Institute of Business Sciences, Pretoria, South Africa (Summers 1998, 1999, 2001), the Indian School of Business, Hyderabad, India (Fall, 2004). In 2010, he spent a full academic year with the National University of Singapore’s business school, as a visiting professor and research scholar. Suresh has published over 40 articles, many of them in top-tier peer reviewed journals including the Academy of Management Review, Academy of Management Journal, Strategic Management Journal, Journal of Accounting Research, Social Science Research, Strategic Entrepreneurship Journal, Journal of Business Venturing, and Journal of Operations Management.